The final novel in the Cousins’ War series, the basis for the critically acclaimed Starz miniseries, The White Queen, by #1 New York Times bestselling author and “the queen of royal fiction” (USA TODAY) Philippa Gregory tells the fascinating story of Margaret Pole, cousin to the “White Princess,” Elizabeth of York, and lady-in-waiting to Katherine of Aragon. I was lucky enough to receive an advanced reading copy of ‘The Kings Curse’ and I have to say I just finished it and I absolutely loved it. This would have to be my favourite book in ‘The Cousins’ War’ series. From the first page I pulled into Margaret Pole, Countess of Salisbury’s world and I found it very hard to leave. I loved this character and the way the story was told through her eyes; it definitely provided an new insight into King Henry VIII rule. Although a big book at 600+ pages it felt more like 200 and when I knew I was reaching the end , I found I wasn’t ready for it to finish and for Margaret’s story to be over. Yet another GREAT! 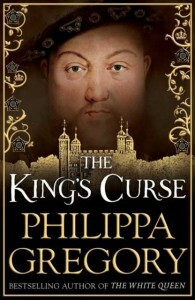 book by Philippa Gregory. Fans of Historical Fiction and Philipa Gregory won’t be disappointed. 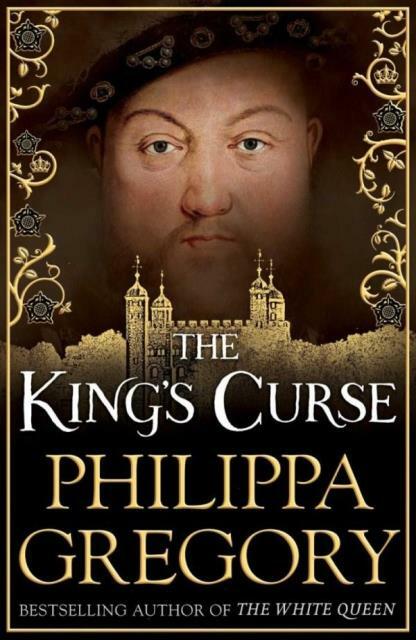 This entry was posted in Historical Fiction, Recommended Reading and tagged book review, Philippa Gregory, The Cousins War, The Kings Curse by admin. Bookmark the permalink.